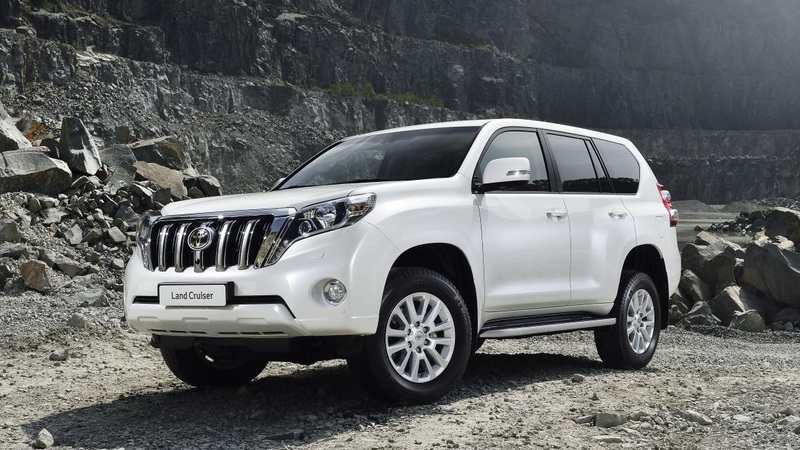 The Toyota Land Cruiser made its name for offering superior levels of comfort in the most demanding of environments, and now Toyota has announced new spec levels for its 2014 range. Available to order from 1 December, prices for the Toyota Land Cruiser start at £34,995 and, as you would expect, there’s a lot of car for the money. Among the new additions is the Toyota Touch 2 touchscreen multimedia system which features Google Street View – a UK industry technology first. It’s a first because you can actually see the destination before setting off and no other vehicle manufacturer offers this feature in the UK. The screen has a higher resolution than is found in Toyotas using the touchscreen currently and has the ‘drag and swipe’ abilities you find when using tablets or iPads. Toyota have also improved traffic information accuracy by adopting real-time traffic alerts from Tom Tom. Their designers have also been busy by giving the exterior a refreshing new look and improved the interior, boosted entertainment features and polished the Toyota Land Cruiser’s advanced off-road technologies. Toyota have also extended their new naming system of Active, Icon and Invincible to the Toyota Land Cruiser with enhanced spec on the Icon and Invincible levels at the same price as the current models. Among the standard spec levels and options are alloy wheels, LED headlights rearview camera, Bluetooth, cruise control, smart entries start system, active traction control, Hill start assist, triples on automatic air conditioning, rain sensing wipers and front and rear parking sensors. The Toyota Land Cruiser is undoubtedly an impressive package and some of the standard equipment includes things like rear electric suspension and adaptive variable suspension which help make this an impressive car to drive. The 2014 model range retains its transmission, engine and body style and seat configuration options and while their range of impressive comprehensive range of safety features are fitted as standard, customers can also benefit from an additional safety pack which includes adaptive cruise control with pre-crash system which will help lessen the chance of injury should a collision occur. Of the main reasons for buying a Toyota Land Cruiser is that the buyer actually intends to drive the car off-road, unlike many of the other 4×4’s, or Chelsea tractors, currently on sale in the UK. Toyota realises that perhaps those owning the car don’t always have the necessary driving skills when driving in rough terrain and, as such, offers an off-road driving assistance technology pack on its invincible grade to help drivers cope with the unexpected. This entry was posted in 4X4 Car, Car Leasing, Cars and tagged 2014 Toyota Land Cruiser model range, Land Cruiser, toyota, Toyota Land Cruiser by Steve Lumley. Bookmark the permalink.